I feel that it is my responsibility as someone writing about art and entertainment created by people of color that I use my platform to amplify their voices on issues regarding their safety and wellbeing. 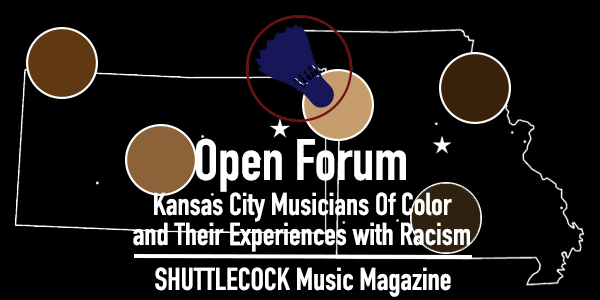 Following the murders of Philando Castile and Alton Sterling at the hands of the police in July, I began seeking statements from Kansas City and Lawrence musicians of color on the subject of racism they've experienced involving law enforcement, the music scene, or in everyday life. I only received a couple statements initially, so in hopes of keeping this project alive I decided to publish what I had collected so far and continue to add more statements as I receive them. I am deeply grateful to all joining in this dialogue and hope that people reading these testimonies can learn from them and help create change in our communities. 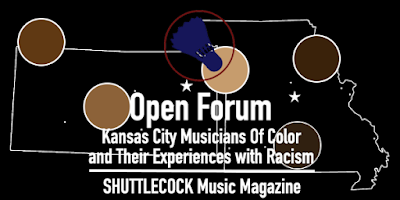 "I have the same experiences as most colored people. Sometimes I match the description of a suspect, so I'm stopped. Sometimes cops stare at me longer when I'm in a public place, sometimes I'm ticketed for violations that didn't occur. The fact black children are taught differently on how to behave around cops is a clear indication that there is a problem and the fact that the injustices we face are becoming normal." "A decade ago, I was an employee for the City of Topeka, in the City Attorney’s Office. As an office assistant, my first obligation each morning was to go to the police station to pick up files for the City Prosecutor’s Office. Just beyond the front desk of the Topeka Police Department building, there is a large office space. One morning, as I was passing through, I noticed a black family, all adults, huddled closely to one another and clearly distraught. TPD had shot and killed a suspect in the wee hours and gathered some of his family members to notify them. The suspect was young and the person who appeared to be his mother began to sob and seek comfort from the folks who accompanied her. As they embraced her, I noticed two higher-ranking officers in more office-appropriate dress standing within a short distance, also observing this grieving family. They were whispering to one another and at one point started snickering. Their posture in this family’s presence remained slack. I turned away, disgusted, and headed to City Hall."